The moon only reflects back about 7 % of the signal during a Moonbounce Contact !!! The moon is typically around 238,000 miles away from earth !!! The fact that the moon appears larger at moonrise and moonset is only a optical illusion . What is EME ??? : EME ( Earth - Moon - Earth ) , or also commonly called " Moonbounce", is a type of communication that occurs when two stations point their antennas at the Moon and attempt to reflect their signals off the Moon to try to make a contact . The Moon is used as a RF reflector much like the Ionosphere is used to reflect radio waves. EME is one of the most challenging aspects of Amateur Radio and requires alot of patience when receiving the very, very weak signals. EME operation occurs from the 6 Meter band all the way up into the tens of Gigahertz Frequency Range. 2 Meters is the most popular band because it is much easier to get the equipment to setup a EME Station and it has the highest population of EME Operators. Equipment required for EME: Antennas : EME can be done with a single yagi antenna, @ 15 dBd of gain , and 100 watts , however, it is much better to have something like a set of 4 yagis. This is because it will be much easier to hear and work more stations. Typically a overall antenna gain of @ 18 dBd is a good starting point. The more the antenna gain is increased, the better the operator will succeed at working more stations. Antenna Polarization : The typical polarization used by most EME Operators is horizontal polarization, however, it has been shown that having switchable polarization from horizontal to vertical or Polarity Diverse Switching can be of great advantage when operating EME. As the radio waves travel to the moon and are reflected back to earth, they have a tendency to change polarization. This phenomena is referred to as " Faraday Rotation " . The polarization is never really known exactly when it is received and it can not be particularly predicted. It has been proven by many EME Operators recently that having the ability to switch the polarization for the best signals yield the best results for a EME contact. Some EME operators are now resorting to the switchable polarization or Polarity Diverse Switching antenna systems. With Polarity Diverse Switching , it is possible to receive signals at any given angle in 45 degree increments giving the EME operator the very optimum in EME signal strength on receive and transmit . The Polarity Diverse Switching Antennas usually consist of several cross polarized yagis and a special phasing harness with several switching schemes that are constructed using several remote controlled coaxial switches. The operator can select any polarization in 45 degree increments for the best signals using this type of antenna. M2 Antenna inc's Special EME Array, the 2MPX20, The polarity diverse antenna virtually eliminates the effects of the most commonly complained about problems of EME, Faraday Rotation and Spatial Fading >>> 2MPX20 Antenna by M2. The 2MPX28 is the same antenna but longer and has 8 more elements. More typical EME arrays used for EME consist of a set of 4 or more horizontally polarized antennas 3 to 5 Wavelengths long each ( 20 to 35 feet ) on 2 Meters and about the same lengths for the higher bands which will translate to much higher wavelengths. The Big Guns will run 8, 12, 16, 32 or 48 of these yagis !!! There are some things to look at when choosing to design or upgrade a current Antenna System.These things can also be used to critique an existing antenna system. 1. The more elements a antenna has, the greater the bandwidth ( Too many elements can result in a degraded pattern or the antenna becoming too noisy / High Antenna Temperature ). 2. The fewer the elements, the narrower the bandwidth the antenna becomes which also increases the gain with the same boom length. ( Too few elements can result in a very touchy/ finicky pattern, increased SWR or becomes too narrow ). 3. The longer the boom length, the higher the gain. Adding and subtracting elements with the same boom length changes the bandwidth greatly and the gain slightly . 4. In EME use, it is better to have fewer longer boom antennas then several shorter boom antennas. Many experienced too much loss due to phasing lines, power dividers and stacking losses. One or two dB can be lost just in a single phasing line and power divider even before it reaches a mast mounted preamp. Many experienced excellent results with fewer longer boom antennas and in alot of these cases, better gain and pattern figures. 5. For every doubled boom length increase, there is a 2.2 dBd improvement in Forward Gain ( and Visa aversa ). 6. A single reflector element is less noisy than a multiple reflector element. 7. Folded Dipole and T Match Driven Elements have slightly wider bandwidth than gamma matches. 8. Higher frequency antennas at close proximity are greatly affected by lower frequency antennas ( especially when they are harmonically related ) but not as much as visa aversa. 9. Antenna Phasing Lines Lengths are best cut at half wavelength intervals ( repeated 50 ohm impedance point ) but will work OK if at random lengths. All phasing lines MUST be the same exact lengths . 10. Elements that are centered through the boom have a slightly cleaner pattern than elements that " sit " or are mounted on the side of the boom. Better still if the elements are insulated from the boom. 11. Aluminum antenna materials are more " weatherproof " than copper materials ( corrosion, loss of conductivity, increased skin effects/ resistance and rust in time ) . 12. Larger element gauges ( rod and tubing material ) give better radiation results ( due to some skin effects at VHF/UHF ) then smaller gauge elements ( such as wire elements ). 13. A " Optimized Antenna " ( one that has optimized element lengths and spacings ) give considerable better results than a " Equalized Antenna " ( one that has equal element lengths and spacings ) . Optimized antennas have a lower antenna temperature, higher gain, better front to back ratio and a cleaner pattern. 15. Consider that 1 dBd of increased antenna gain can take a signal from not copyable in the noise to Q5 out of the noise in EME / Weak Signal Work. It also goes both ways...transmit side as well on the opposite end. All of the items listed above have been proven by many amateurs whom are heavily active in EME and other weak signal work. A good balance most of the items above make for a good antenna design. Better to start out with a antenna system that is proven to work than to listen to a neighboring ham make contacts while you are not even hearing the station. Especially with the cost of antennas systems these days, better to make a investment that works . Carefully analyze what is being considered when looking into a antenna system. Remember, the key to a successful amateur station is the antennas that are in use. The proof is all around. Moon Tracking : In order to know where the moon is located, it helps to have a program to track the moon. This will be needed to know where and when to point the antenna. RF Power Amplifiers: Although EME has been done with as little as 50 watts of power, a good starting point would be 350 - 1000 watts. It is best to run the full legal limit so that you can be heard by many more stations. Amplifiers such as the 8877 , dual 4cx250 /4cx350 , 3cx400 and the 3cx800 and other tube amplifiers are the most popular types of amps used. Receiver Noise Figure/ Receiver Sensitivity : Always keep the Receiver Noise Figure as LOW as possible ( at least lower than the sky noise for the band that will be used ). Noise Figure is expressed in " Degrees Kelvin " or in " FdB's". Sky Noise is noise generated by the Sun and other celestial objects in the sky and space . Even the ground generates some noise which is sometimes used as a reference to determine Antenna Noise Temperature. The higher the frequency band is , the lower the Sky Noise is for that band. Lower Noise Figures will be more important at the higher frequencies. Another way of looking at noise figure, in a simple way, is the ability for the receiver to dig out weak signals in the noise. Typically, the noise figure should be 1 dB or lower on most bands. Some Gaasfets on the market can go as low as 0.2 db's !!! Transmission Line : Always use the lowest loss cable between the antennas and the radio. Any loss that occurs between these two ADDS more loss on top of the noise figure if the preamp is not mounted right at the antennas. This means if your preamp located down in the shack at 1 dB and there is 2 dB loss in the transmission line, your resultant noise figure of your receive system becomes 3 dB !!! There must be as little loss between the preamp and the antenna array as possible . This loss can severely degrade the ability to hear weak signals from the moon. On top of this problem, you will also lose some of the output power to the antennas. Hardline is the most common type of transmission line used in EME Operation because of its extremely low loss characteristics. This makes it more possible to keep the preamp down in the shack because most of preamps cannot handle the high power of a tube amp. Belden 9913 is somewhat marginal on the lower frequencies bands and should be avoided above 2 meters. Standard RG-8 should be avoided all together. Try to use high quality " N " type connectors if at all possible. Standard SO-259 type connectors have more loss than " N " type connectors. SO-259 connectors also make a poor weather seal compared to " N' type. Water in the connectors and the transmission line can also severely degrade the signals from the moon and degrade your output power to the antennas. Every 1/10th of a dB of loss in your antenna system can degrade up to a full dB of system performance !!! Phasing Harnesses and Power Splitters : Phasing Harnesses and Power Splitters are used to add additional antennas to form a EME Antenna Array. The phasing harness must be properly matched to the antenna otherwise the antenna gain of the entire array will be degraded. This also goes for the power divider. If the power divider is not properly dividing the power equally to the antennas or the power divider has a improper impedance , the entire antenna array gain will de degraded. These degradations will cause EME signals to sometimes become completely lost in the degradation losses. EME, is it FM, SSB or CW ??? : EME is primarily done in CW. This is because CW is best copied under extremely weak conditions. CW can be copied much better when it is right at the noise floor than SSB. FM is never used. SSB has been done, but rarely is used unless conditions are extremely good or when one or both stations have a large enough station both in power and antenna size. What to listen for : EME signals are in most cases extremely weak and most of the time, right at or just above the noise floor. The smaller the antenna array used, the weaker the signals become. When looking for a EME signal, point the antenna right at the moon ( especially during moonrise and moonset when a extra 3 - 5 dB of " Ground Gain " is achieved from the signal ). This is because the ground helps duct the signals when the moon is near the horizon. The ground gain effect begins to diminish above 10 degrees of elevation or less depending on the height of the antenna array. Ground Gain is best achieved when the antenna array is just above the ground and it becomes less effective when the antenna array is at a higher height above ground . Carefully and slowly adjust the VFO dial across the EME frequency band and listen for CW signals right at the noise floor. The use of a DSP or audio filter helps enhance the ability to hear the weak signals. If a antenna of 12 to 15 dBd is used, chances are , signals will begin being heard if there is any activity on the moon, especially if some " big guns " are operating ( "Big Guns" are referred to as Amateur Stations with lots of antenna and/or lots of power ) . EME Frequencies : Some operators claim that 144.020 is the EME calling frequency on 2 meters but generally, random signals appear all across 144.010 - 144.050. Alot of the time, EME contacts are scheduled ahead of time and the exact frequency is known. The EME frequency segments are 50.000 - 50.050 on 6 meters, 144.000 - 144.050 on 2 meters, 222.000 - 222.025 on 222 MHz, 432.000 - 432.070 on 70 cm and 1296.000 - 1296.050 on the 23 cm band. EME can also be found on all other bands above 1296 MHz. As stated before, the highest population of EME operators can be found on the 2 meter band, then 70 cm second then 1296 third then 6 meters and the higher bands. In almost all cases, EME contacts are made around what is called Sequencing. Sequencing refers to the exact time when EME Stations are transmitting or receiving. It is important to have some kind of time clock that displays the accurate time down to the nearest second. This can be a digital clock or a computer. The time is coordinated with WWV or through a time standard service via telephone. When working a EME Schedule or working random contacts off the moon, each station must know exactly when to transmit and when to receive. It is always the EASTERLY Station that starts the sequence. The point of reference is the International Date Line. If it is a prearranged schedule, each sequence would be for a time period of two minutes with each station alternating between each sequence. Normally, a prearranged schedule will last for a period of only 30 minutes. If it is a random contact, the sequence will be for one minute or 60 seconds ( although sequencing during a random contact is not mandatory, but preferred by most ) and may last until the contact is complete or if it is determined that conditions are not good enough to continue. The purpose of sequencing is to make the possibility of completing a contact more possible. It also allows the EME Operator to carefully adjust for listening to the super weak signals. Let me emphasize the importance of coordinating the clock during sequencing to the closest second. This may make the difference of completing or not completing the contact. Radio Waves travel at about the speed of light. Since the moon is typically around 230,000 miles from earth, it is possible to hear your own Radio Signal Echoes off the moon. It takes approximately 2.7 seconds for a radio wave to travel from earth to the moon and back to earth again. This Propagation Delay can allow the EME Operator to hear this own echoed signal off the moon. This is also a great tool for the EME Operator to check his or her own setup. Of coarse, if the EME Operator can hear his or her own echoes, then it is assurance that others will as well thus allowing EME Contacts to be made possible. Note : The stations ability to hear its own echoes is more likely to occur when a station is running over 500 watts and has a antenna system gain of 18 dBd or more . It becomes more unlikely when the power and gain are at a lower level. Also, just because a station cannot hear its own echoes doesnt mean that other stations won't . Stations should not be discouraged from attempting EME if it cannot hear its own echoes. In some cases, Big Guns even have difficulty hearing their own echoes !!! When working a station off the moon, the amount of noise received with the signal makes a big difference on how well the Moon Contact will go. This noise usually originates from behind the moon in the solar system and from deep space. These noise levels have already been calculated and mapped out. Many moon software packages have a option to display Sky Noise. Its levels are related to the frequency band being used. The higher the frequency, the lower the sky noise. If the Sky Noise level is too high, it can overcome the signal that is being received off the moon. This is why most operators choose to operate when the sky noise is at the lowest levels along with the shortest distance and closest declination ( when the moon is at the highest point in the sky at the station location ). Measuring the difference in signal levels between Solar Noise ( the Sun ) and Cold Sky is a way to determine EME Station Performance. This is done by pointing the Antenna Array at the Sun, making a notation of the signal level, then pointing the Antenna Array at Cold Sky and making a notation of the signal level . The RF Signal Level is usually taken at the last IF stage of the receiver right before the detector and the RF DC Level is unit measured. Many operators will do this to calibrated their setups and check for any degradation of their equipment. This is almost like measuring noise figure of a receive system using natural noise sources. This is most useful at the higher frequencies because a higher signal to noise ratio can be measured. This is because at higher frequencies, their is lower sky noise and usually higher antenna gain especially with stations with very large arrays.
" I measure my system temperature by putting a 50 ohm room temp resistor on the input of my preamp. With an ideal preamp that gives you a 290K noise input with a good GaAs fet it is probably about 350 K noise temp. I put the receiver on ssb and measure the audio output rms noise voltage with an ac dvm. Then I look at the sky and find your minimum noise at high elevation and measure the rms noise voltage again. RF power in a fixed bandwidth is proportional to Temperature so it Temp goes like the square root of the measured noise voltage. ie. if the noise voltage on the sky is 2x more than the resistor the system sky temp is 4x350K or 1400K. You also need to be sure that your agc is not operating on the noise signals. So keep them low at S0 so that it doesn't reduce the if gain when the noise signal is increases.".. Q. What is the minimum requirement to work EME ??? A. EME has been work with as small of a antenna as a 12 foot boom for 2 meters and 50 watts. Also, a 14 foot boom and 400 watts on 432 MHz. Q. What mode is EME ??? A. EME is mostly CW running @ 13 WPM on the average with the Big stations running occasional SSB. No FM has been reported yet. Q. How many stations can I work with just a single 14 foot yagi and 100 watts on 2 meters ??? A. With patience ( and maybe several tries ) , several stations. Some of them include W5UN, KB8RQ, IK3MAC, K5GW, F3VS, SM5FRH, HB9Q, and many others depending on conditions. Q. Can I work EME with a antenna with no elevation capabilities ??? A. YES If stations are to be worked during Moonrise and Moonset inside the antennas pattern. Through the last several decades, most EME stations have been running a large array of yagis in the horizontal position, however, it has been discovered that the number of contacts successfully achieved can increase dramatically if a antenna array of cross polarized antennas is used. This is because the signals from the moon ( especially on 2 Meters ) are constantly changing polarization when reflected back to earth.This puts the stations that are stuck with horizontally polarized antennas at a disadvantage of receiving the signals extremely weak or unworkable when the polarization is at or near 90 degrees out . Recently, many stations that have " become cross polarized " have reported success rates that EXCEED the capabilities of the conventional horizontal antenna arrays that are more than double or triple of the size. A 3 dB loss of signal can occur when the signal levels are just 45 degrees out of alignment and over 20 dB when 90 Degrees out. 3 dB is enough to take a signal from fully copyable to well below the noise floor. The condition known as Faraday Lockout occurs when the signal never become copyable because the signals polarization never aligns itself to the antennas pattern ( also see Spatial Polarization Loss in EME terms ) . Crossed Polarized Antennas can also be configured to work in 45 degree increments. This takes alittle more hardware and configuring. By looking at these mere facts, it is easy to see the advantage of having cross polarized antennas can be at a great advantage. This information should be considered when designing or reconstructing a EME station. Spatial Polarization Loss: The signal loss in db's as a result of polarization differences between two stations across the EME signal path.. Imagine that you are on the moon and you have a horizontal beam looking down at the earth. If one station is on one side of the earth and another station is on another side of the earth, the signal polarizations of those stations will not be the same because of the curvature on the earth.. It is this difference of polarizations that will cause a loss of signal strength. This is the Spatial Polarization Loss. If both stations are at the same latitude, then the loss will be just about nothing. Faraday Rotation: The rotation of the polarization of the signal path caused by the earths magnetic field. This normally is a great contributer to signal QSB on EME Signals. It is more pronounced on the lower EME Bands. Libration Fading: Fading of EME Signals due to the reflected characteristics of the signal. This is due to the rough surface of the moon . The moon actually wabbles in its orbit so when signals are reflected off the moon, they are reflected across the rough terrain on the moons surface causing the reflected signals to be inconsistent. This fading becomes extremely pronounced on the higher EME bands ( like 1296 MHz and above ) and is barely noticeable on the lower bands. Semi-Diameter ( SD ): The apparent radius of the moon when viewed as a disk from Earth. Right Ascension ( RA ) :The angular distance of the moon measured eastward from the vernal equinox along the celestial equator to the hour circle of the moon expressed in degrees or hours. Antenna Temperature ( Ta ) : The Noise Temperature of the signal being received from the antenna. This noise comes from not only the main front lobe of the antenna, but also all the minor lobes and rear of the antenna as well. The combined noise of all these sources becomes the total Noise Temperature of the antenna or Antenna Temperature. One example is that the Moon normally runs at a temperature of around 210 degrees kelvin. If this is all the antenna was seeing, then 210 degrees would be the antenna temperature. This becomes a critical parameter when designing a good antenna for EME use. The idea is to design a antenna that will not contribute noise from other directions that will add to degradation of the signal received off the moon. G/T or ( Antenna Gain over System Noise Temperature ) : This is the Ratio of Antenna Gain over System Noise Temperature. Signal to Noise Ratio is comparable to this ratio and are related. This is also a very important parameter when designing a good EME station. A simple way to describe this is to make the Antenna Gain as high as possible and the Noise figure as low as possible to increase the Signal to Noise Ratio. The higher the G/T is, the better. When looking at the G/T of a antenna by itself, it is the factors of Antenna Temperature, Gain, and the antenna pattern that make up the G/T of a antenna. Declination : The term used to describe the moons position relative to the equator of the earth. If the Declination is minus 8 degrees, then the moon would be 90 degrees elevation overhead at 8 degrees south latitude on earth. GHA or Greenwich Hour Angle : The term to describe the Moons Position in relations to Earths Longitude. If the Moons GHA was at 20 degrees , then the Moon would be located directly overhead 20 degrees West Longitude. EME Degradation : Basically, it is the amount of degradation in dB's due to the Sky Temperature, Moons Distance and Declination. Typically from 0 dB's to -2.5 dB's maximum . Most would agree that the smallest degradation loss would be with the lowest Sky Noise, highest Declination and Moon at Perigee . Moon Perigee : When the Moon is at its closest Distance from the Earth. Moon Apogee : When the Moon is at its farthest Distance from the Earth. Sky Noise : This is the term to describe the background noise behind the moon or Noise Temperature at and around the moon. It is measured in degrees Kelvin. If the moon is located at or near a high noise area such as the Milky Way or the Sun, then the Sky Noise would be high compared to the area in the sky which has the lowest noise temperature which is known as " Cold Sky ". Elevation of the Moon : The term used to describe the height of the moon at the observers location relative to the horizon. 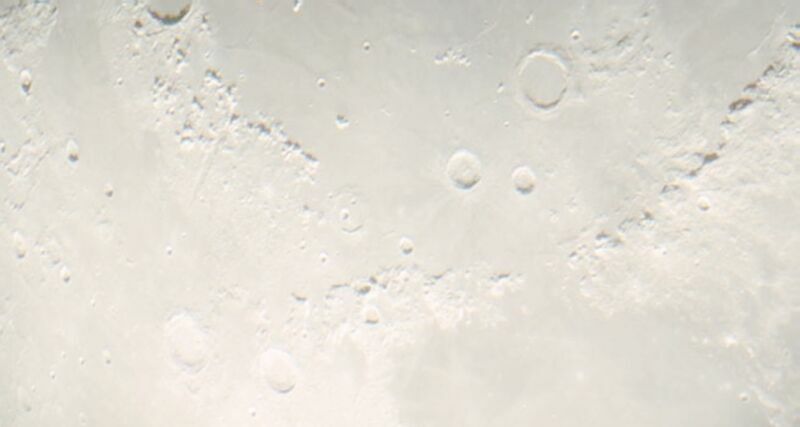 A elevation of 10 degrees would mean that the moon at the observers location is 10 degrees above the horizon. 90 degrees elevation would be directly overhead. Azimuth of the Moon : The term used to describe the compass heading of the moon measured in degrees at the observers location . 90 degrees azimuth would be exactly East. Phase of the Moon : The term used to describe the Illumination of the Moon by the Sun . A full moon would mean that the entire disk of the moon is Illuminated at the observers location. A New Moon would mean that the moons disk is completely dark at the observers location. The Phase of the Moon DOES NOT have any effect on EME Propagation. EME HF Weekly Net : Listen or join in with the " EME bunch " ( newcomers are greatly welcome ) on Saturdays and Sundays at 1500 utc for the 432 Mhz and above group and 1600 utc for the 2 meter EME group on 14.345 MHz hosted by VE7BQH, Lionel. The Net is designed to make schedules for EME contacts and discuss the experiences of the EME operators during their contacts. Join the EME Reflector via E-Mail : Join the EME reflector and get regular E-Mail Postings from HAM's that devote alot of their time to EME. Alot can be learned here as well as it is a great opportunity to meet and make schedules with others. Their are alot of good people here that are willing to help with setting up a station and getting started as well. To subscribe , do the following : go to listserve@vm.stlawu.edu and inside the body type of the message, type "subscribe moon-net". 2 ) Contests such as the EME Contests and sometimes VHF/UHF Contests have a higher probability of EME Activity. Look for activity especially during EME Contests. 3 ) Common window of Europe. This means when there is moonrise to the US and Europe is in view of the Moon at the same time. This doesn't mean that other continents are not active but simply means that Europe is heard most often. 4 ) High Declination , Low Sky and Low Solar / Sky Noise seems to be the most favorite for EME Operators. Look for activity especially when all of these criteria are met ( See monthly Moon Condition Report above ) . This happens about one week out of the month . 5) Ground Gain, especially on 6 and 2 meters, provides anywhere from 3 to 5 db more signal gain due to enhanced ground ducting of the signals because of low elevation positions of the moon. Ground Gain degrades severely when the moon rises above about 5 to 10 degrees elevation. 6) The BEST assurance that signals will be heard is when there is a known EME schedule occurring. The good thing about this is there is a program that has most of the schedule information needed to known where and when to listen . This is a program called " SKD81A " written by N1BUG, AF9Y and W9HLY. it contains a excellent package of EME Schedules, EME Operator Station Info, Moon Tracking, and many other features. To get this program go to AF9Y's website here >>> AF9Y. The programs SKED File, Vhfsched.skd , is updated on a weekly basis so it is important to get weekly downloads and updates from this location. This program does not contain every single schedule that exists but will have a large amount of schedule activity within it. BTW: If you want to create a schedule with an another EME Operator, check in on the weekly HF EME Net described above or post a E-Mail onto the EME Reflector. Working EME On Single Yagi's or Standard Tropo Setups : It is very possible to work EME on a single yagi or standard tropo setup. It has been done and it can be done. Here is a small list of stations that should be workable with a single yagi ( or antenna systems with at least 10 dBd of gain ) on 2 meters : W5UN, SM5FRH, VE7BQH, KB8RQ and possibly many others . Working these stations may take alot of patience but their is no reason why these stations cannot be worked. This is because of their very high ERP Antenna Systems. What does " Single yagi " mean ??? Alot of operators will describe that they have worked stations on a single yagi but sometimes will not explain in detail about the antenna. It is very important to explain this because of the very large range of gain figures that single yagis can hold. A single yagi can be anything from a 2 element, 3 footer that has a gain of only 6 dBd to a 19 element 42 footer yagi that has a gain of 17 dBd. One can see a tremendous difference in the gain here, so when someone mentions that they have worked a station with a single yagi, it is important to also note the gain figure of the antenna . This is to clarify any confusion on what the definition of a single yagi is under these conditions. The list of stations above will probably be difficult at best or even impossible ( never say impossible ??? ) to work on a 2 element beam but should be workable on something like a 12 foot 9 or 10 element under the right conditions. AF9Y Mike's WebPage Mikes got a great webpage includes a cool helix antenna design for the lunar prospector , a DSP Software Program used for EME and a program used to make skeds including full station info for EME use. W5UN Homepage Download a list of all active EME'ers by callsign, take a look at the Worlds Largest EME Array, learn how to work him with just one yagi no elevation and 50 watts.